I published this essay in my latest book, Learning to Lean. I thought it good to repost it here. clergy to laity . . .
to a clinic for slaughter. Your eyes shall see the King in His beauty. They shall behold a far-distant land. The rain is over and gone . . . I posted this in November of 2010. I thought it would be good to re-post it. 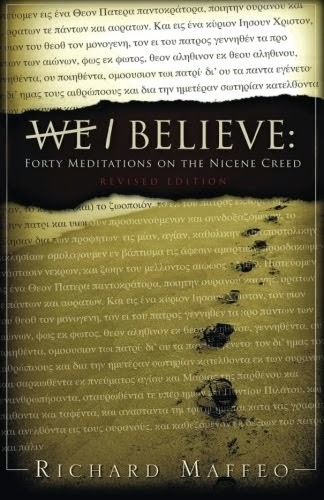 The following is the last essay in my first book, "We Believe: Forty Meditations on the Nicene Creed." Although the book itself needs to be updated since the Church revised the wording of the creed this year, the message of this meditation remains intact. I hope you find it useful. The last word of the Nicene Creed: Amen. Consider it all joy, my brothers, when you encounter various trials, for you know that the testing of your faith produces perseverance (James 1:2-3). “We believe . . . We believe . . . We believe . . .” The ancient summary of Christian faith flows from my tongue like a poem’s comfortable and regular meter. 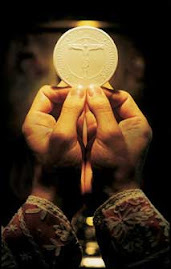 I recite declaration of faith after declaration, each as important as the last, none more necessary than the next – not even (it would seem) the “Amen” at the end of the Creed. But every now and then, something breaks the cadence. A tragedy bolds the font, underlines the memory, italicizes the sorrow. Our very being – body, soul and spirit – sees nothing, hears nothing, beyond the moment when time stands still. Our gut churns at the physician’s diagnosis. It writhes to the cacophony of, “I want a divorce.” It convulses at the fresh gravesite of a loved one. I wish life always flowed in harmonious rhyme and meter. But it doesn’t. Desperate prayers go unanswered. Heaven sometimes seems so silent our stomachs threaten to heave. Do we say, “Amen. Yes, I still believe” to our statements of faith; or do we turn and say nothing? The prophet Isaiah urged, “Seek the Lord, while He may be found” (Isaiah 55:6). St. James encouraged, “Draw near to God, and He will draw near to you” (James 4:8). Christians with seasoned faith understand there is no shortcut to spiritual maturity, the kind that answers life’s agonies with a resounding, “Amen! Yes, I believe.” That depth of faith is possible only by God’s grace, nurtured as we seek the Lord – day by day – while He may be found; drawing near to Him – day by day – while we have opportunity. You wouldn’t think it so, but it’s often a difficult choice to make. I don’t usually post the work of others, but a friend of mine who attends our Monday night Bible study at St Charles Borromeo in Tacoma sent this to me a few weeks ago. I thought it addresses issues you’ve read about on this blog in recent posts, but from another’s perspective. Ron is a retired ship driver (Commander, USN). Last year, the Master Chief Petty Officer of the Navy wrote an article in one of our military magazines on this topic. He used running rust as an example of what happens when we allow, even a little bit, rust to go unchecked. It has an insatiable appetite which ultimately destroys a ship. So it is with allowing questionable behaviors to slip by unchallenged, even a little bit. Eventually anarchy and chaos will evolve, not only within a person but a society as well. On occasion I’ve engaged my grand children in discussions on this topic. Many child psychologists in the past have encouraged an attitude by parents of protecting the psyche of the child by allowing certain behaviors to exist which we wouldn’t think of when we were kids. Further, they encourage parents to remove as much disappointment and failure as possible from their children’s lives. These “tolerances” generally lead to adults who do not respect authority nor others. Just as steel is tempered by fire, we are tempered by disappointment and failures during our lives. Without these bumps in the road, we are not challenged to be people of value and worth. In my discussions with family, I’ve used the comparison of Polaris---the North Star---with spiritual “centricity”…the steadfast acceptance of traditional values. Early mariners used the North Star as a tool in navigation. It could always be counted on to be in the same place regardless of the position of other stars, which rotated around it. Such are the values of the Judeo-Christian philosophy. They are a steadfast set of rules of behavior which are constantly under attack, not only by young folks, but by many of our contemporaries who have somehow decided that their individuality supersedes tradition…that their behavior is justified, contrary to the norms of society. Our God calls us, with love and kindness, to remind our children and others of the dangers which their behavior, at times, creates. As the senior members of our families, we have a special responsibility to actively challenge the insidious nature of bad behavior. To do less is a disservice to those we hold dear. And, as role models, we are called to always question our own behaviors and attitudes. “Tough love” has great value. Food for thought. So, I’m talking again on the phone with Harry. You might remember him from my June 4th blog post. He’s the one who asked a question about the Scriptures and preferred a sound-bite answer instead of actually opening the Bible and reading the sections I’d suggested. This time he asked me why bad things so often happen to good people. I cited several Biblical passages in an effort to help him arrive at some semblance of understanding, but then our conversation turned to the subject of sin. Harry told me he has only one. “I have a hard time forgiving the guy across the street from me,” he said. "Yeah,” his tone suggested he thought it normal that most Christians might be guilty of only one or two sins. I immediately thought to tell him he just added idolatry to his list of ‘one’ sin: Thou shalt have no other gods before me. But again I thought better of it. I doubted there’d be much chance to dissuade someone from choosing prayer over his favorite TV show when he’d already demonstrated he was happy with sound-bites to his questions than to read the Scriptures for himself. Twenty-five hundred years ago God spoke to Israel through the prophet Jeremiah (17:9), “The heart is deceitful above all else, and is desperately sick.” That’s why it’s so easy for us to stand in darkness, convinced it’s sunlight; to dine in a sewer, convinced it’s clover. And that’s why it’s easy for so many Christians to accept religious mediocrity and spiritual complacency, convinced we’re doing all we can to show Christ how much we love Him. Truth is, we have as much of Jesus as we want when we are content with the form of our religion, even while we are without its power. I’m not surprised Harry does not recognize his darkness. 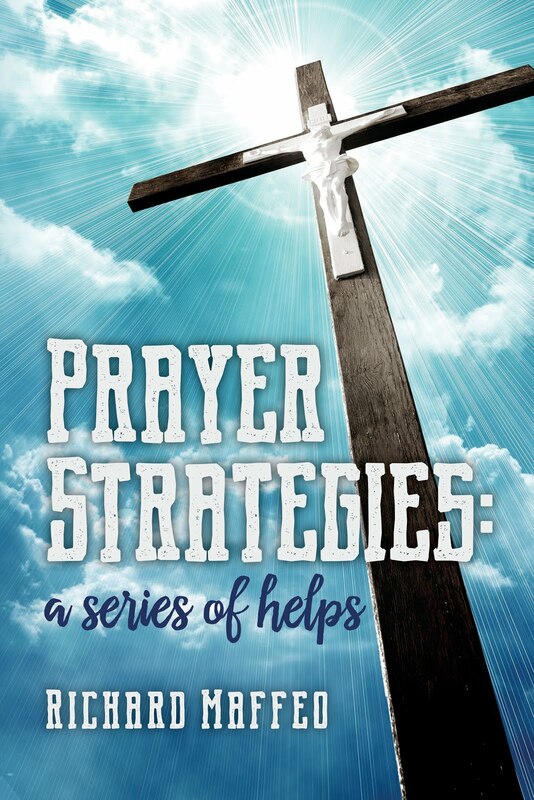 In the 40 years I’ve walked with Christ, I’ve learned that those who find reasons to avoid the effort required to read the Scripture will also find reasons to avoid the effort required for serious prayer. After they entered the Promised Land, Joshua challenged the people, “Choose this day whom you will serve” (Joshua 24:15). He knew the surrounding culture would always present them with the choice between serving God or serving themselves, to walk the broad and easy way, or the one requiring effort and purpose. Our twenty-first century culture presents us the same choice. And the Holy Spirit presents the same challenge. In addition to obedience and humility, I believe one way to show God we’re serious about our faith is to ask Him to reveal to us our sins, especially those we excuse, rationalize, or consider insignificant. Another way to show Him we’re serious is to make the time to spend the time reading His word. Each of which are infinitely better choices than satisfaction with sound-bites, or watching television.